On Aug. 1, 1862, the Lincoln administration enacted a recently passed tax of $1 per 31-gallon barrel on “all beer, lager beer, ale, porter and other similar fermented liquors, by whatever name such liquors may be called.” It was the first national excise tax on beer, and it had perhaps the furthest-reaching effect on the drink during the Civil War, which ended 150 years ago this spring. The war in mid-1862 was one of grinding attrition. 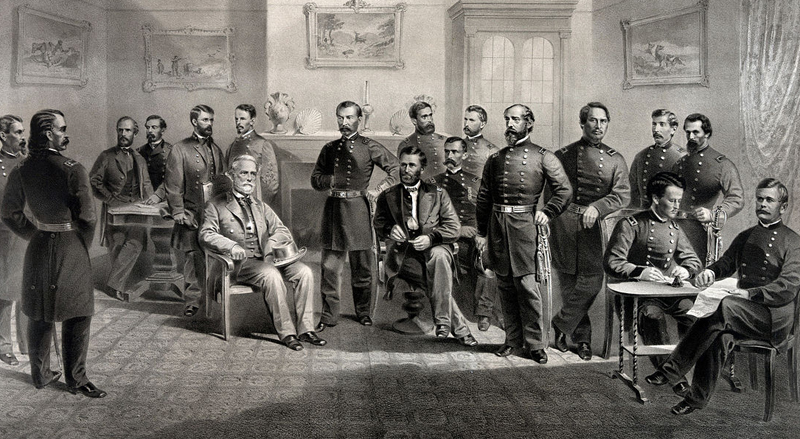 The optimism both sides held at its start in April 1861 was long gone. The decisive Union victories of Vicksburg and Gettysburg were almost a year away, and the Emancipation Proclamation was months off. France wanted to recognize the Confederacy; Britain, the other great power of the day, sat on the sidelines. It wasn’t clear which side, the North or the South, would win. Simply put, by August 1862, it looked like it was going to be a long war, and the U.S. needed money to pay for it. Enter the tax. By 1865, the last year of the war, the federal government was able to tax 3,657,181 barrels and yet collect $3,734,928, totals much higher than those amassed in 1863 and 1864. Those numbers—taxable production and amount collected—would only rise, too, both cresting 10 million for the first time in 1879. In 1919, the last year before Prohibition, the tax was up to $6 a barrel and the government collected $117,503,895. By the end of the Civil War in 1865, the federal government was collecting much more on beer taxes than it had in previous years. These precise statistics come from the United States Brewers’ Association, a group formed in August 1862 in response to the initial tax (it would adopt its formal name two years later). The association marked the largest marshaling of trade muscle in the nation’s brewing history, muscle meant to modify the tax or at least to keep it low. Though the group’s influence would wane in the coming decades, and the group disappeared altogether in 1986, the USBA served as the conceptual godfather for subsequent brewing-industry trade groups such as the Brewers Association and its forerunners, the Association of Brewers and the Brewers Association of America. The USBA would not have been possible without the German immigrants and their progeny who started and nurtured it. Much of brewing in America by the time of the Civil War, in fact, would not have been possible without the Germans and their lust for lager. That beer style had grown by leaps and bounds in popularity before the war, as more Germans arrived in the U.S., fleeing revolutions and counter-revolutions in their patchwork quilt of homelands; the nation’s nascent temperance movement even preferred lager to the harder stuff, especially whiskey, that Americans had been inhaling since the Revolution. Germans started dozens of breweries in the two decades before the war, most in cities with heavy German populations. Milwaukee alone saw 10 open in the 1850s, according to Maureen Ogle’s Ambitious Brew. The beer-soaked German community of St. Louis played an especially large role in the conflict of the early 1860s, given the civil war within the Civil War that rived Missouri, a slave state that stuck with the Union. The Germans helped keep it there. The Civil War only boosted demand for lager, as German and German-American soldiers fanned out into regiments and posts throughout the country—they accounted for almost 10 percent of the Union army—and more non-Germans developed a taste for the style, too. As Ogle put it of St. Louis during the war, “Everyone needed beer.” The drink relieved the tedium and terror between combat, as soldiers’ letters attest; and their returns home after the war ensured that lager’s reach would only extend further and further. This demand, coupled with greater automation in the brewing industry, drove the number of breweries in America to a peak in the 1870s that has only recently been matched, with most of them churning out the lager so popular during the war that changed so much. Tom Acitelli is the author of The Audacity of Hops: The History of America’s Craft Beer Revolution. His new book, American Wine: A Coming-of-Age Story, is available for pre-order. Reach him on Twitter @tomacitelli. Great article…it is going to help me a lot in my speech to inform project over at South Texas College. Thank you so much.